TECNOMEC di GIUDICI S.R.L. was founded in 1996 when the owner, Giovanni Giudici, decided to start with his own business thanks to the experience accumulated in about ten years working at a major factory of the valley. The first office was located in Via S. Alessandro in Clusone, and the company had about eight employees. 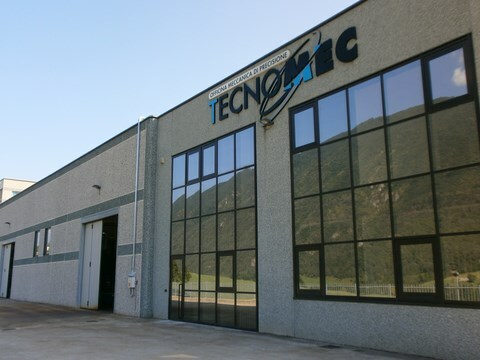 The turning point was in 2007 when, thanks to the continuous increase of turnover, the owner decided to transfer the seat in Cerete and expanding the production area, (the company covers an area of about 1400 square meters), and increasing machinery with new centers and a metrological room with a three-dimensional measuring machine in order to offer to the customers better control of finished products. In order to satisfy customers, Giovanni decided to use as a space of about 200 square meters to the assembly of mechanical units, the components are partly produced by the company and partly purchased on the market from certified vendors. To date the company has fifteen employees. the company has also machinery able to realize special turned and milled parts of any other material (special steel, bronze, copper, brass and even plastics materials).